If the eyes are, in fact, the windows to the soul, consider the ears a stealthy back entrance. Bose is appealing to both with their new line of audio-enabled sunglasses. Known primarily for their sleekly designed and supremely tricked-out speakers and headphones, Bose marries wearable technology and futuristic inclinations with the release of the simply titled Frames, their newest toy for grown-ups. What appears, on first glance, as a pair of handsome shades is in fact so much more. Discreetly hidden at the temples is a state-of-the-art personal audio experience. According to the brand, without the use of any in-ear device, the eyewear will direct a “rich, immersive sound” into your ears and your ears alone- meaning you won’t be disturbing those around you with your no doubt excellent musical choices. This means you can listen to the Hamilton soundtrack yet again, without the judging glares of your friends and family. 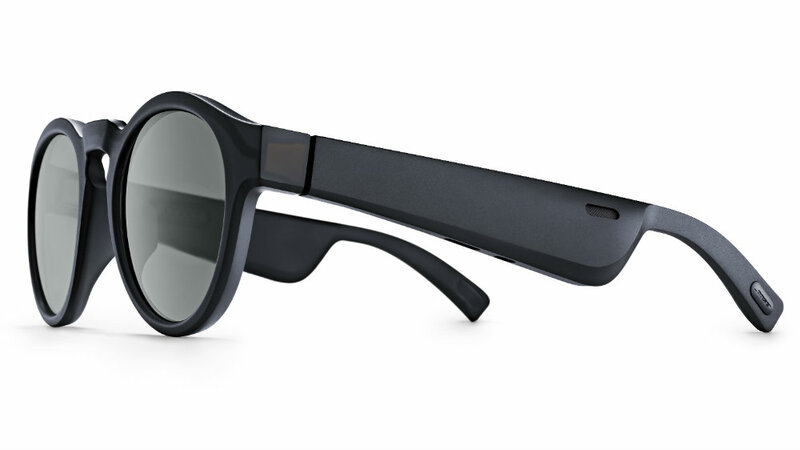 Not only that, the glasses also feature something known as Bose AR, a proprietary audio-based augmented reality platform that will overlay audio onto sounds existing in the physical world. If that sounds vague, hang tight, the brand will be debuting the first of these AR scenarios in the early months of 2019, with a more robust unveiling to coincide with SXSW. In terms of design, simplicity is the name of the game. The two styles on offer- a Wayfarer-esque model named the Alto Style and a rounder version called Rondo Style- are made from nylon, are Bluetooth enabled, and feature shatter- and scratch-resistant lenses which also block UVA and UVB rays. The metal hardware gives the glasses an industrial-chic finishing touch. And the only visual clue to the glasses’ hidden talent is subtle: Frames slightly widen near the ear to make room for a huge amount of powerful audio in a teeny tiny package. And, naturally, there’s a microphone as well, so you can chat with Siri or make your next Amazon order by talking to your shades. God bless the future.